Born in the village of Hollymount, County Mayo in 1941, Frank Stagg was the seventh child of a family of thirteen. He attended Newbrooke Primary School and later went on to attend the Christian Brothers Secondary School in Ballinrobe. People in his native village remembered him as being a “nice lad from a nice family”, others recalled his prowess at Gaelic football and handball. On leaving school he worked with his uncle as a gamekeeper before immigrating to England. Frank was arrested in Coventry in April 1973 and was convicted in November of conspiring to commit arson, for which he received a ten-year sentence. At his trial the following October with six others, including Rev Patrick Fell, he was described as Commanding Officer of the Coventry IRA unit. There was little or no evidence to connect him with the charge. Frank was convicted under the notorious British Conspiracy Laws, brought in during the latter half of the 19th century to imprison Irish political activists without a fair trial. Frank Stagg began his sentence in Albany Prison on the Isle of Wight. Insisting that he be treated as a political prisoner, he refused to do any prison work, which resulted in him spending most of his time in solitary confinement. In March 1974, while in Parkhurst Prison, he and Michael Gaughan joined the hunger strike begun by the Price sisters, Hugh Feeney and Gerry Kelly, demanding repatriation to Ireland. All suffered the horrific ordeal of forced-feeding. Frank continued for seventy days. Following the death of Michael Gaughan, as a result of force-feeding, the remaining hunger strikers ended their fast after assurances from the prison authorities that they would be transferred to a prison in Ireland. The setting of a ‘reasonable’ date for a transfer to an Irish prison. The authorities, however, pursued a policy of appearing to meet prisoners’ demands when they were on hunger strike only to renege on those promises once the prisoner came off protest. Frustrated by such vindictive tactics and determined to secure his demands or die, Frank embarked at the end of 1975 on another hunger strike, his fourth in two years. 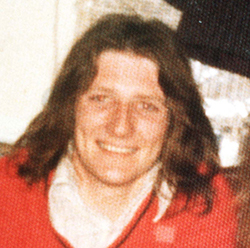 In early February 1976, as Frank and his comrade Gerry Mealey entered their eighth and seventh weeks, respectively, on hunger strike, Frank, recognising the intransigence of the British Home Office and the hopelessness of his own status, persuaded his comrade to end his fast, for the sake of his wife and children. In order that he be afforded a republican funeral, Stagg stated in his will that his body should be entrusted to Derek Highstead, then Sinn Féin organiser in England. The Wakefield coroner complied with his request. While the remains were being flown home to Dublin, the Twenty-Six-County government tried to cajole, intimidate, and bribe members of the Stagg family to collaborate in a week of desecration. Having failed, the institutions and servants of the state were used to hijack the body and orchestrate a parody of a funeral of honour. The Fine Gael/Labour Coalition government, under Fine Gael Taoiseach Liam Cosgrave, chose to defy in the most callous and insulting manner imaginable the deathbed wishes of a hero and used the Garda Special Branch to bury him. On Saturday 21st February, Requiem Mass, boycotted by almost all his relatives, was held. His body was taken to Ballina, where it was brought, under Special Branch guard to a grave some seventy yards from the Republican Plot in Leigue Cemetery, where he asked to be buried. In order to prevent any re-interment by republicans, the Special Branch afterwards poured six feet of concrete on top of the coffin. The following day, republicans held their own ceremonies at the Republican Plot, despite a mass presence of Gardaí. A volley of shots was fired by IRA Volunteers to salute their fallen comrade. 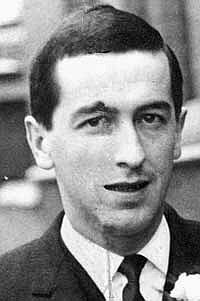 Following an oration by Joe Cahill, a pledge was made that Frank Stagg’s body would be moved to the Republican Plot to fulfil his wishes. On 6th November 1976, Frank Stagg’s remains were removed by republicans and re-interred beside the remains of his comrade, Michael Gaughan, in the Republican Plot. To learn more about the re-burial of Frank Stagg listen here to the remarkable eye-witness description by Frank’s brother, George in an RTE documentary broadcast on the 40th anniversary of the Irish patriot’s re-interment.